Master the art of preparing a French meal (and impress your friends) with a cooking course at Lyon's renowned culinary school, L'atelier des Chefs. Choose a class that fits your skill levels, then set out to create a delicious 3-course dinner with guidance from your instructor. 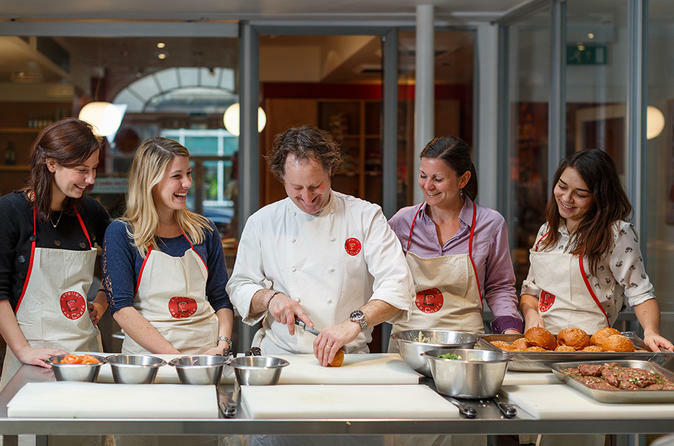 Throughout the 1.5-hour course you'll utilize a variety of French cooking techniques and learn new recipes you can then make at home. Once your meal is complete, sit back and savor the results.